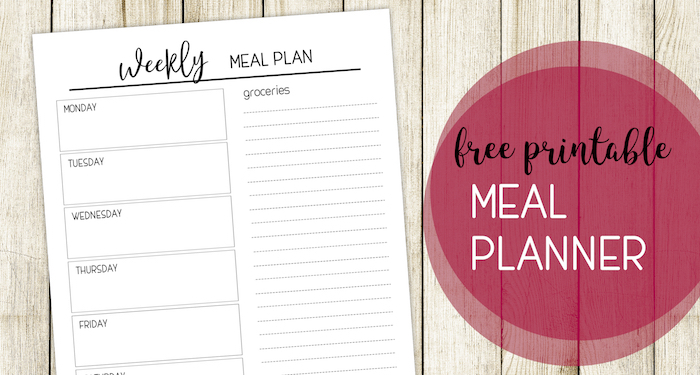 Use this adorable free printable meal planning template with grocery list to plan your meals for the week. 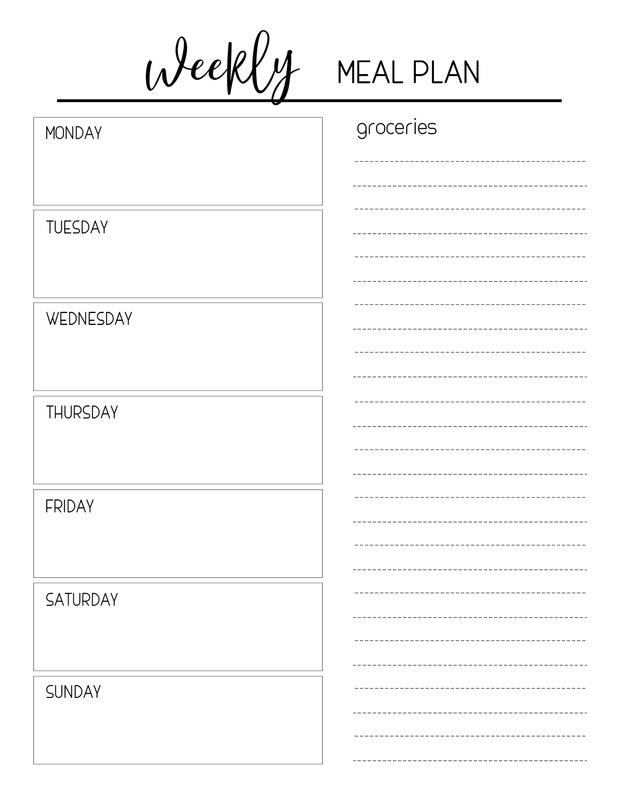 I love how much easier it is to grocery shop with a menu planned for the week. 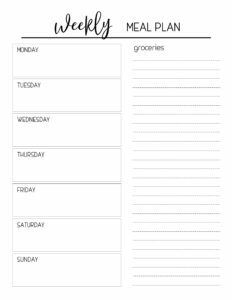 Sure it’s a pain to sit down and plan meals but it’s a bigger pain to stare into the fridge at 5pm and wonder what on earth to make for dinner. 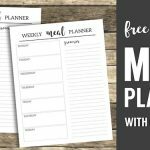 I also love how it helps us stay on budget when we grocery shop with a meal plan. 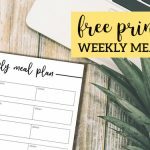 Don’t forget to check out PicMonkey a free trial of their website and you can easily customize these printable meal planning template. If you want a little more guidance then check out our tutorial on how to use picmonkey. 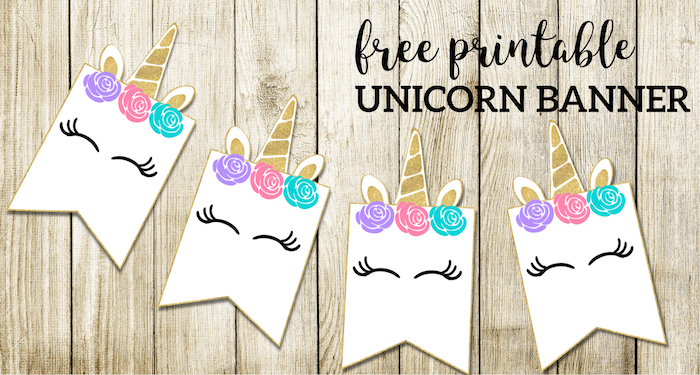 Plan a party with our unicorn banner or one of our other fun banners. 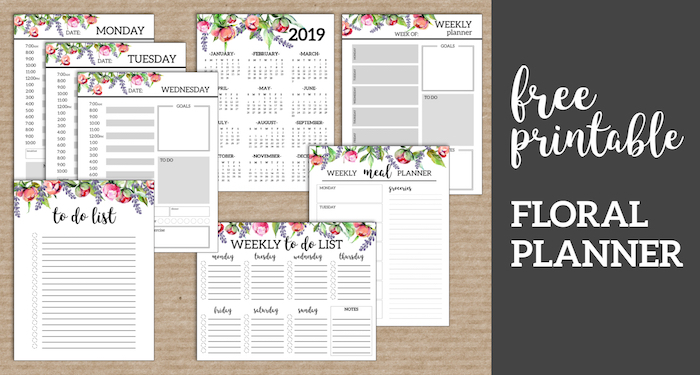 Use this complete floral planner including to do lists, daily and weekly planner pages, meal planner and calendar to stay organized.